The Buffalo Sabres opened their 2018-19 National Hockey League season with a disappointing home shutout loss to the rival Boston Bruins. 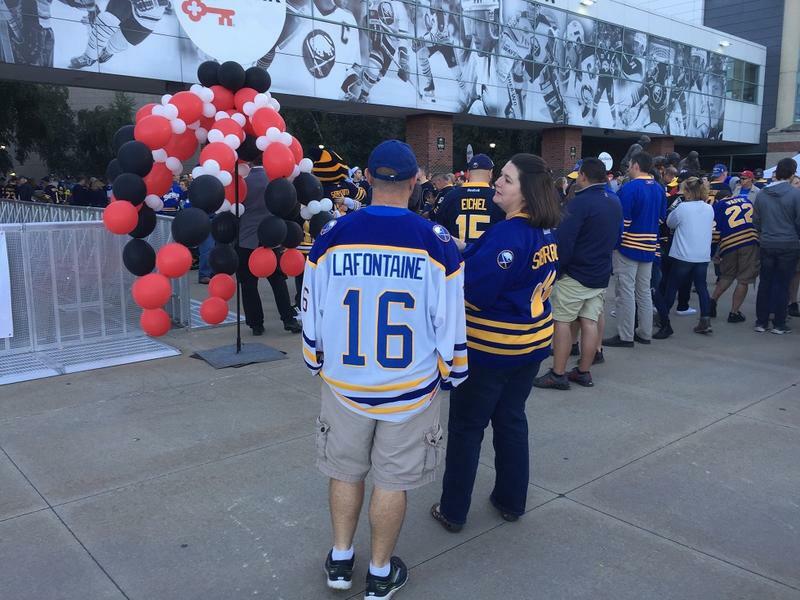 But before witnessing the 4-0 defeat, fans - and family of Sabres players - celebrated the start of a new hockey season, and hope for improvement upon last season's last-place finish. The Buffalo Sabres kick off the 2018-19 season with a home game against the Boston Bruins Thursday night. On the season premiere of WBFO's Behind The Bench, Sabres reporter Bill Hoppe talks about the team's revamped roster, which includes #1 overall draft pick Rasmus Dahlin, top line forward Jeff Skinner and new goaltender Carter Hutton, among others. Also, Jack Eichel gets the captain's 'C' on his jersey and Bill gives his prediction on whether the Sabres, who finished in last place in the NHL last season, will make the playoffs for the first time since 2011. 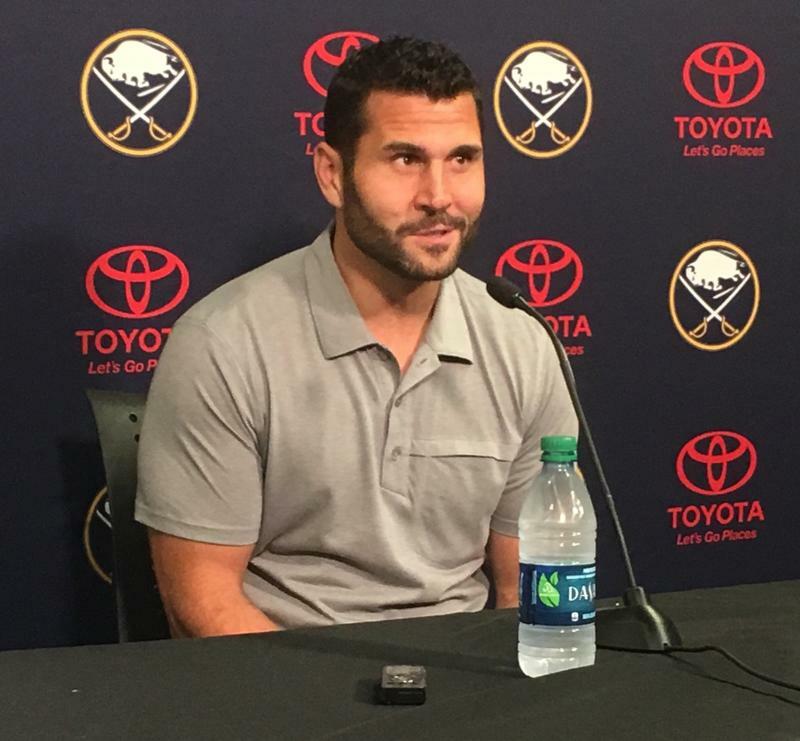 Former Buffalo Sabres captain Brian Gionta has formally announced his retirement as an NHL player, but he has accepted a role as a development coach for the Sabres and Rochester Americans on a part-time basis. Buffalo's budget needs led to a tax on tickets sold for most of the city's entertainment venues. However, the tax is in the city budget, but has yet to take effect. The 11-Day Power Play Community Shift begins Thursday night at HarborCenter. 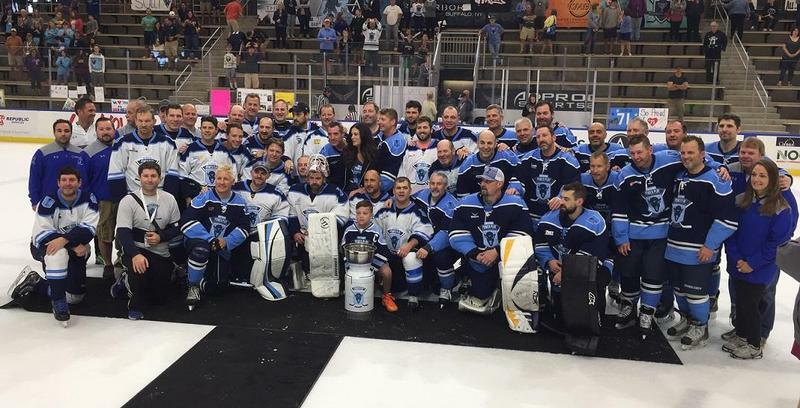 It is the follow-up to last year's inaugural event, organized by Mike and Amy Lesakowski to raise money for cancer research by breaking the record for the world's longest hockey game. 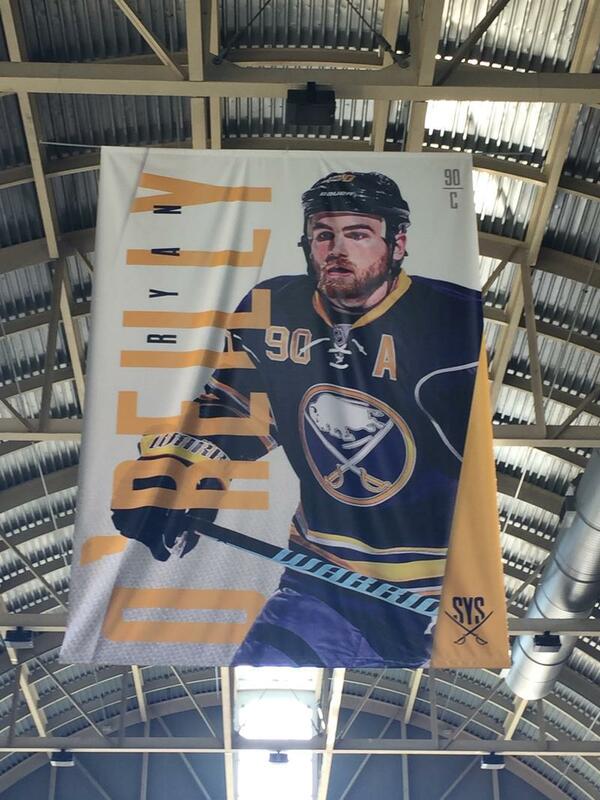 After months of rumors and speculation, the Buffalo Sabres traded center Ryan O' Reilly to the St. Louis Blues. The blockbuster deal included 3 current NHL players and 2 future draft picks. "Positive vibes" and “enthusiasm” were not words fans associated with the last-place Buffalo Sabres last season. 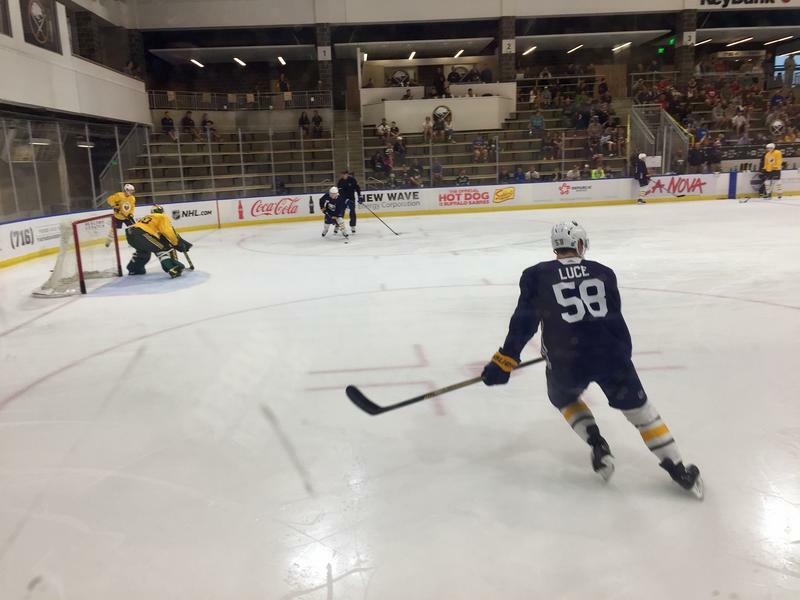 But for the hundreds who attended the team's summer development camp at HarborCenter this week, the wide belief is that better days are ahead. 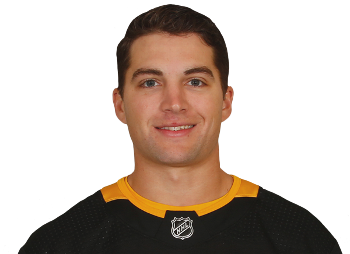 The Buffalo Sabres have acquired forward Conor Sheary and defenseman Matt Hunwick in a trade with the Pittsburgh Penguins. 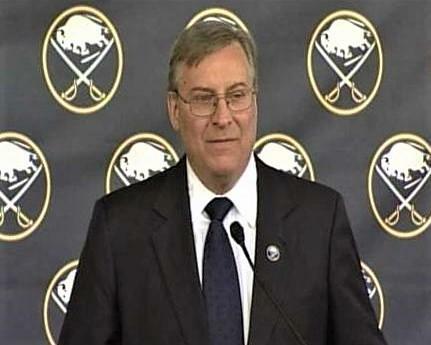 When the Sabres found out they won the NHL Draft Lottery two months ago, it was no secret who they were going to take. Swedish defenseman Rasmus Dahlin was one of the best draft prospects in years and Monday he marked his first time in Buffalo as a Sabre. Rasmus Dahlin is a glimmer of hope for what has been one of the NHL's worst teams the past half-decade. WBFO's Nick Lippa has more. On a special NHL Draft edition of WBFO's Behind The Bench, Buffalo Sabres reporter Bill Hoppe talks about Rasmus Dahlin, the Swedish defenseman expected to be selected first overall by the Sabres Friday night. Also, why has the team drafted so poorly in the later rounds over the last decade and what has been done to change that? And could Ryan O'Reilly or someone else get traded by the end of the weekend? Listen to this week's edition of WBFO's Behind The Bench. The New York State Public Service Commission on Thursday gave the green light to former Buffalo Sabres owner Tom Golisano. The PSC approved the sale of local broadband company Greenlight Networks to Golisano's Grand Oaks GLN, LLC. 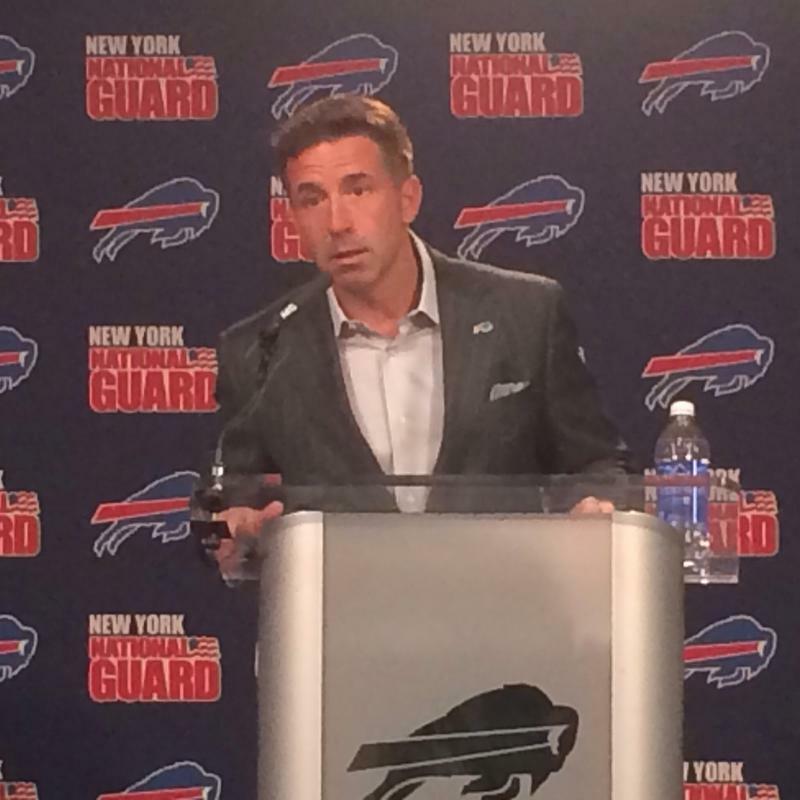 Russ Brandon has resigned his dual role as president of the NFL Buffalo Bills and NHL Buffalo Sabres in a major shake-up for the teams' owners, Terry and Kim Pegula. The Buffalo Sabres won the National Hockey League's draft lottery Saturday night. That means Buffalo will have the first overall pick in next month's NHL draft. For the third time in five years, the Buffalo Sabres have the best odds at winning the NHL draft lottery. It's an 18.5 % chance. Whoever wins will land prized prospect defenseman Rasmus Dahlin. Buffalo Sabres season ticket holders learned Thursday they will not have to pay more to watch the team play next season. The Buffalo Sabres once again find themselves in last place to end the year. On this season’s final edition of Behind the Bench, WBFO’s Nick Lippa sat down with Buffalo Sabres reporter Bill Hoppe to discuss which part of this lowly year of hockey was truly the worst, Jason Botterill’s end of the year press conference, the success of the Amerks, and more. 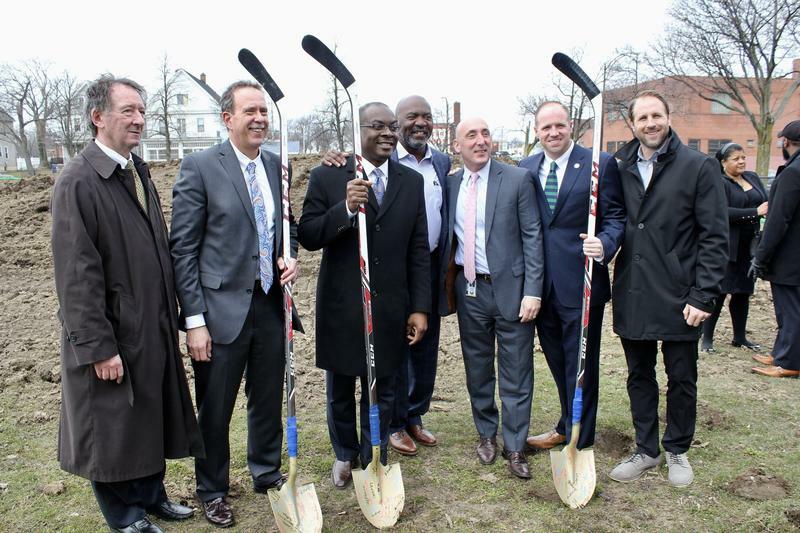 Local partners officially broke ground Wednesday on the construction of a ball hockey rink and youth football field on Buffalo's East Side. On this week's edition of WBFO's Behind The Bench, Buffalo Sabres reporter Bill Hoppe talks about the (merciful) end of the team's home schedule for the 2017-18 season, a campaign that saw the team win a paltry 11 home games. Also, two of the team's top prospects are with the team for a late-season cup of coffee. Bill shares some thoughts on Casey Mittlestadt and Alexander Nylander on the penultimate episode of Behind The Bench. Buffalo Sabres fans know him most for his hockey broadcasts, but play-by-play icon Rick Jeanneret will be honored by another sport this summer. On this week's edition of WBFO's Behind The Bench, Buffalo Sabres reporter Bill Hoppe talks about the highly-anticipated arrival of top prospect Casey Mittlestadt, the team's first-round pick in the 2017 NHL Draft. What skills have made Mittlestadt so widely admired? And how is the 19-year-old handling the pressures that come with the expectations of a beaten-down fanbase? A change to the NHL's protocol for goaltender interference reviews is happening quicker than expected. On this week's edition of WBFO's Behind The Bench, Buffalo Sabres reporter Bill Hoppe talks about this week's loss to the Arizona Coyotes and how it recalls a similar game between the two teams three years ago. Also, what has head coach Phil Housley so upset? And how has young goalie Linus Ullmark looked in a Sabres uniform since his recent recall from Rochester? One of Buffalo's most beloved Sabres alums is still making a difference in our community. WBFO's senior reporter Eileen Buckley says former goalie Dominik Hasek continues his commitment to reaching underprivileged children through his Hasek's Heroes program. WBFO's senior reporter Eileen Buckley says former Buffalo Sabre goalie Dominik Hasek continues his commitment to reaching underprivileged children through his Hasek Heroes program. On this week's edition of WBFO's Behind The Bench, Buffalo Sabres reporter Bill Hoppe talks about the imminent return of star forward Jack Eichel, who has missed more than a month of action with an ankle injury. Also, two prospects are up from Rochester. Why are the Sabres carrying three goaltenders? And how does Justin Bailey fit into the team's plans? 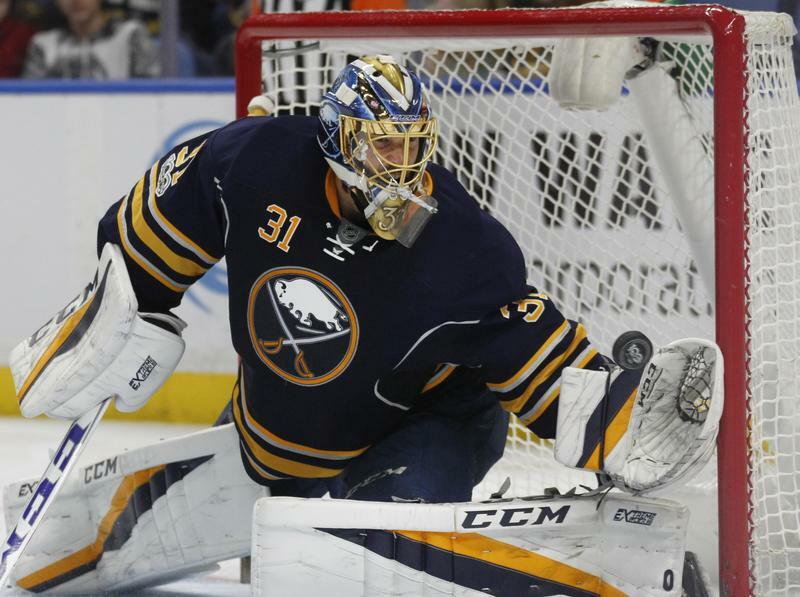 On this week’s edition of WBFO’s Behind the Bench, Buffalo Sabres reporter Bill Hoppe talks about an embarrassing loss to the Calgary Flames after a string of impressive victories and the end to Chad Johnson’s hot streak. With the Sabres on the verge of falling to last place in the NHL, what do fans have to be hopeful about moving forward? On this week's edition of WBFO's Behind The Bench, Buffalo Sabres reporter Bill Hoppe talks about the trading of Evander Kane to the San Jose Sharks and the underwhelming package GM Jason Botterill was able to get in return for the talented winger. 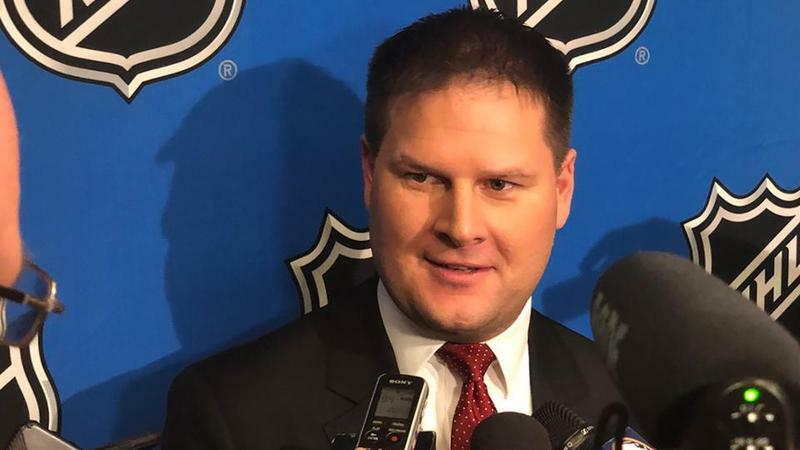 Did Botterill fail his first big trade deadline test? And was trading Kane instead of re-signing him the right move? 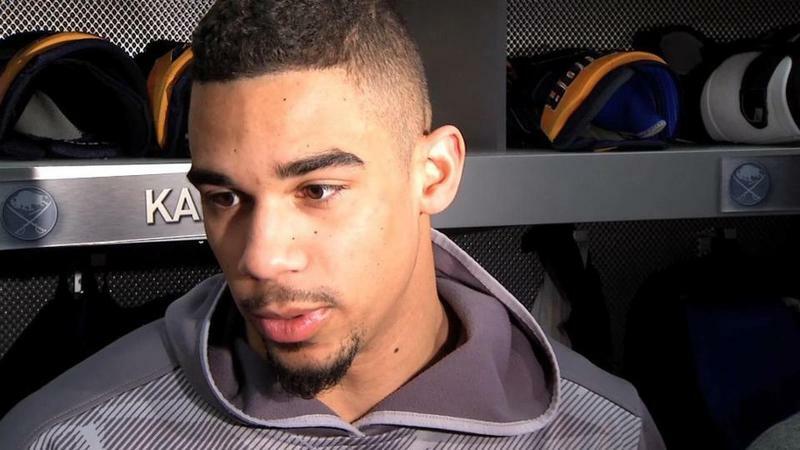 As expected, the Buffalo Sabres traded forward Evander Kane prior to Monday's NHL trade deadline. Kane was dealt to the San Jose Sharks for a package that includes what could end up being a first-round draft pick. On this week's edition of WBFO's Behind The Bench, Buffalo Sabres reporter Bill Hoppe previews Monday's NHL Trade Deadline. Most of the chatter has centered around forward Evander Kane, who will almost certainly be dealt away. But who else could be traded? And what should GM Jason Botterill be looking for in return? On this week's edition of WBFO's Behind The Bench, Buffalo Sabres reporter Bill Hoppe talks about the injury to star forward Jack Eichel and how two players in particular, Ryan O'Reilly and Sam Reinhart, have stepped up their games, leading to wins against two top teams. Also, a look at top defenseman Rasmus Ristolainen's recent struggles. On this week's edition of WBFO's Behind The Bench, Buffalo Sabres reporter Bill Hoppe talks about the team's continuing struggles at home, where they've now lost four straight games, and their failure to execute "simple plays." Also, how the Sabres' season of misery is leading to a lot of empty seats at KeyBank Center. And we'll catch up with former Sabres goalie Ryan Miller, now playing in his 15th season, who has found comfort and contentment in Anaheim.